Why should you get a POS System? If you are searching for the best software which will help you in the management of your business, Point Of Sale [POS] software is the best. Unlike when you are using the manual method, this software provides the efficiency required in running a business. The best thing about it is that it comes with different features which are suitable for different types of business. These features allow you to perform multiple tasks according to the demands of your business. It is also compatible with different devices such as tablets, smartphone, desktops, laptops among other devices. Whether you have an existing business or you are in the process of launching a new business, you must have this software. What are the advantages and benefits of a point of sale system? Below are some of the top benefits of POS systems in a business. No one wants to spend hours in lines waiting to be served. Customers will also be tired of such a business and would prefer to shop in stores with fast service. One of the most significant benefits of a POS system is that it facilitates quick transactions as compared to the manual method. Most of these systems come with reliable hardware such as barcode scanner, receipt printer which allows your customers to be quickly served. Another thing about these systems is that they lower the costs incurred in the business. For one reason, you might not need as many employees in your store with automation in place. You should also note that these systems come with essential features which boosts the productivity of your employees, like time managment features. Unlike when you are using a cash register, POS systems come with advanced features which allow you to manage your inventory efficiently. With a good POS, you can track the sales of a product, and you can also know when it is time to upgrade your stock. These systems provide essential inventory data which you can’t get from cash registers. Once you change the price of a product, it will be updated automatically – this will ensure that the costs of all the products match the amount given to customers to ensure that there are no discrepancies in the pricing of the products. You can quickly check the sales made by every employee. Apart from that, you can use the POS to manage your employees and also reward them. This will motivate your employees and it may lead to increased sales. A POS system also enables employees to manage their sales statistics. With such details, it will be straightforward for them to know what they need to do better to make more sales. A cash register isn’t advanced enough to help you with managing employees, that’s why it’s usually best to buy a POS if you have multiple employees where you need to keep track. Moreover, you can track the activities of each employee by using unique identification codes depending on the number of employees you have – this is one of the best ways to prevent theft from your employees since they are aware that you are monitoring their activities. Unlike the manual method, POS systems allow you to track your customer’s details. You can easily tell the best products for each customer. This can be very useful when you creating products offers and promotions for your customers. Most of the POS systems provide access to different customizable reports. These reports can feature important information such as daily sales and stock management reports. Through these reports, you can quickly check common sales trends such as which products are in demand – this will allow you to organize your stock in advance or before a particular season. Apart from that, these reports will allow you to identify areas where you don’t need to spend a lot of money. You will find that a traditional cash register has very few options to upgrade. The best thing about POS systems is that you can easily add extra features according to your requirements. These systems feature different modules that can be added to the software to make it better. A computerized system helps to minimize errors unlike when you are using the manual method. Mistakes can lead to incorrect processing of orders and may also reduce profits. Customers prefer different payment methods when purchasing goods. One of the benefits of a POS system like Harbortouch is that it allows you to add different payment options which suits your customers such as credit cards, checks among other possibilities. 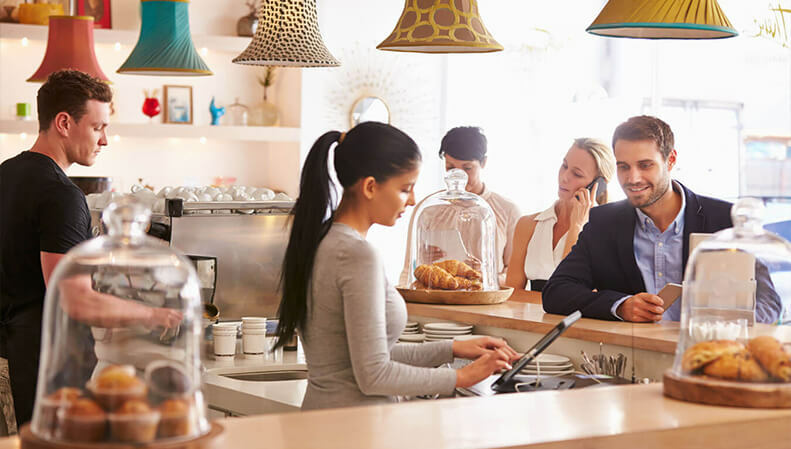 With no doubt, a POS system can boost the performance of your business. As we have seen, these systems come with different features which allow you to perform various activities as explained in this article. However, there are some many POS system on the market which means that you need to be careful when buying. You should be aware of the features you would require successful management of your business. If you have not yet purchased a POS system for your business, you are indeed missing a lot. Look for it today to boost the performance of your business. At Dallas POS Systems we specialize in point of sale (POS) solutions for all business types. Contact us today to find the best option for your business. Thanks for pointing out point of sales system helps to minimize errors unlike manual methods. I also think that having a POS system allows for it to be easier to use for the staff and, therefore, allow your business to run smoothly. Thanks for detailing the benefits of a point of sales system.